Resort living at it's best. 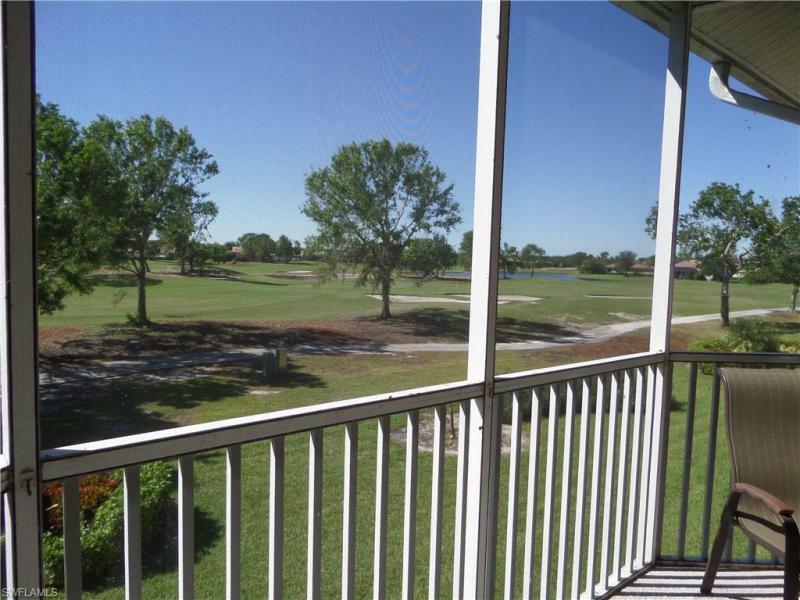 Sweeping golf course views from this sunny & spacious second floor 2 br 2ba turnkey furnished condo. New water heater (2017), tile on diagonal in all common areas. Eat-in kitchen with separate pantry closet, granite counters, ge cooktop stove, dishwasher, built-in microwave and refrigerator with ice and water on the door. Kitchen opens to lr and dr with large pass through. Guest br and bath can be closed off for privacy. Separate laundry room with full sized ge washer & dryer. Separate utility closet in laundry room. Master br with wall to wall carpet, ceiling fan & light, walk-in closet with custom closet system. Private bath with double sinks, corian counter and walk-in shower. Across from the private pool for the neighborhood owners and their guests. Clubhouse with full service restaurant, tiki bar, gym, salon and spa, lap pool and resort pools. Two public golf courses in the complex. Ten minutes from 5th ave. Shopping, art galleries, live theater and pristine gulf of mexico beaches. Easy access to i-75 north and south. Close to marco island. For more information or make an appointment to see property ID 218068544.